Yes, but don't take our word for it. Try it for yourself. We heard the pleas from our customers. 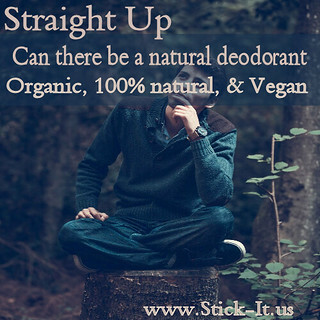 Can there really be a natural deodorant out there that works without causing irritation? The answer is; Yes, yes there is now Stick-It! So the real question on your mind is; Will it work for you? That's a fair question to ask. We stand behind our product and you've had the chance to see what others have had to say. The only way to know for sure, you'll have to take the leap and find out for yourself.